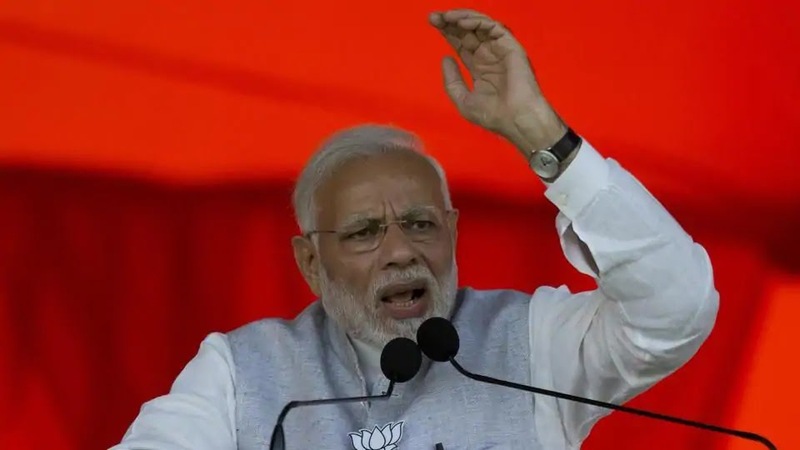 Modi Said: Kartarpur Went To Pakistan With The Mistakes Of Congress At The Time Of Partition: Prime Minister Narendra Modi on Tuesday counted Congress's mistakes during the partition of India-Pakistan in an election meeting here. He said that one of the same mistakes is Kartarpur. Guru Nanak went to Pakistan in the partition of Dev land, as the Congress ignored it. Modi said that if the Congress leaders had some understanding, sensitivity and seriousness in this matter at the time of partition, then our Kartarpur at three kilometers away would not be separate from us. In the power of power, the Congress Party has made so many mistakes that the whole country is facing today. The Modi government recently approved the construction of Kartarpur Corridor in the Cabinet meeting. It will be constructed from Dera Baba Nanak in Gurdaspur to the international border with Pakistan. On the other hand, Pakistan will build this corridor to the international border. When India was partitioned in 1947, it was so hasty to sit in the throne that Muslims wanted a different country in the name of Islam. His agenda was clear. The policy makers of that time made mistakes. The result of that is that the Karmatarpur Sahib of Gurunanak Dev went to Pakistan. Prime Minister Modi covered 11 seats in Sriganganagar and Hanumangarh district from this meeting. These areas are connected to the Punjab border. Here is a good influence of Sikh community.